Those who believe that religious fundamentalism is confined to those of the Muslim religion should think again. First we had a bad, mad Evangelical preacher in Arizona, the state of John McCain, saying that those who went to see a group with the name Eagles of Death Metal were inviting Satan into their life and worshipping death. It was all the fault of the concert goers. Mind he did condemn the murderers. 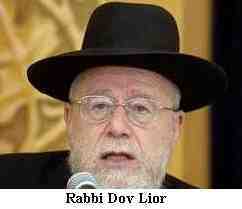 Which is more than one can say of Israel’s favourite neo-Nazi rabbi, Dov Lior. He who believes that it is right and just to murder Palestinian children and infants even. Lior applauds the death of 129 people, mainly teenagers in France. In his warped and twisted view, these children who weren’t even alive at the time of the holocaust, were responsible for the death of Jews in the holocaust. No matter that France was also an occupied country and that 75% of French Jews survived because the French helped protect and hide many thousands of Jews. They were Europeans and in the minds of the state paid Chief Rabbi of Kiryat Arba (& the senior rabbi on the Yesha (settler ) Rabbinical Council they all share the guilty. Yea unto the 7th generation. 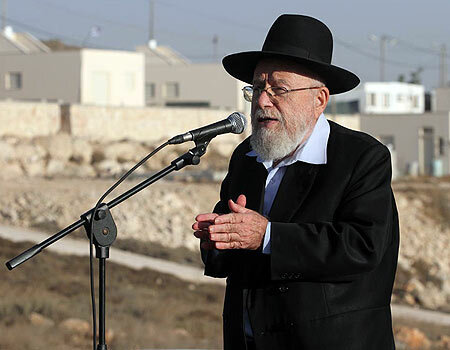 A religious Zionist cleric from a Jewish settlement on the West Bank told mourners on Saturday during the funeral of an Israeli father and son gunned down by Palestinian terrorists that the attacks in Paris were deserved due to what Europeans "did to our people 70 years ago." "The wicked ones in blood-soaked Europe deserve it for what they did to our people 70 years ago," Lior said. The controversial rabbi once wrote an approbation for a book called The King’s Torah that was co-written in 2009 by radical settler figure Rabbi Yitzhak Shapira, which permitted killing civilian non-Jews in times of war. He was summoned by police for questioning on grounds of incitement to violence but refused to report for questioning, saying the Torah was not open to police investigation. He was subsequently arrested and brought for questioning but no charges were made. Last year, Lior published a letter saying that Jewish law permits destroying the entire Gaza Strip to bring peace to the south of the country. Lior said that he had received questions about whether Jewish law permits harming a civilian population not directly involved with the combatants. 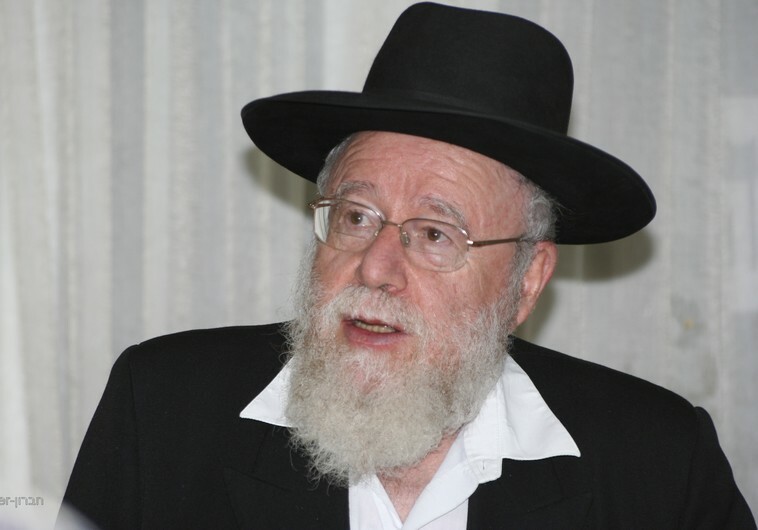 He first cited the opinion of the Maharal of Prague, a renowned 16th-century rabbi, who wrote that a nation under attack can wage a fierce war against the assaulting nation, and that it is not obligated regarding the safety of people who are personally involved in hostilities. “At a time of war, the nation under attack is allowed to punish the enemy population with measures it finds suitable, such as blocking supplies or electricity, as well as shelling the entire area according to the army minister’s judgment, and not to needlessly endanger soldiers but rather to take crushing deterring steps to exterminate the enemy,” Lior wrote. “Talk of humanitarianism and consideration are nothing when weighed against saving our brothers in the South and across the country and the restoration of quiet to our land,” he said. 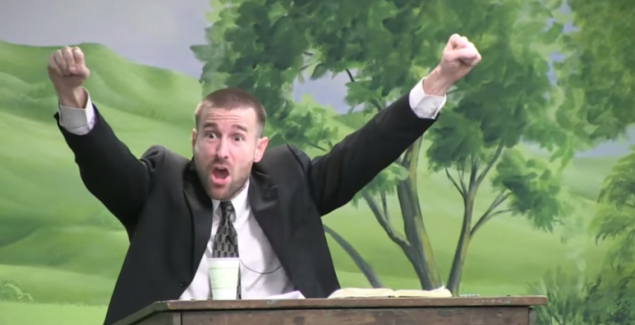 Anderson then moved on to the meat of his sermon — blaming the victims for going to rock concerts and being French. Regarding the massacre at the Bataclan concert hall specifically, Anderson dispassionately read the terrifying account of gunmen shooting for 10-15 minutes straight and killing people execution-style. He is unemotional, almost business-like. When does he get emotional? When discussing the Eagles of Death Metal (the band who was playing at the Bataclan) and their drug use. After a few more quotes from EODM’s frontman Jesse Hughes where Anderson scorned the concert-goers for paying to see a “drug-pushing hillbilly f*ggot,” Andrews gets into how evil France is. “Did you know France is the only nation in the world where more than 50% of the world thinks adultery is fine?” What? Even if that’s true, does that make them evil somehow? Why are we talking about people’s marital statuses in the wake of an international tragedy? Well. That is certainly a lot to ponder. Thank you, Pastor Anderson.